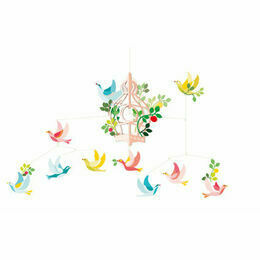 A beautifully designed enchanting mobile with lots of floating birds in 3 different colours. From the Katsumi Komagata’s collection for Djeco.  He is a renowned artist and graphic designer who lives and works in Tokyo. In 1990, he began publishing animated books for children in which he makes use of the beauty of paper. The triumphant fruits of his work with designer of sculptured mobiles Christel Sadde are imaginative, floating creations in paper that are eloquent and fun. 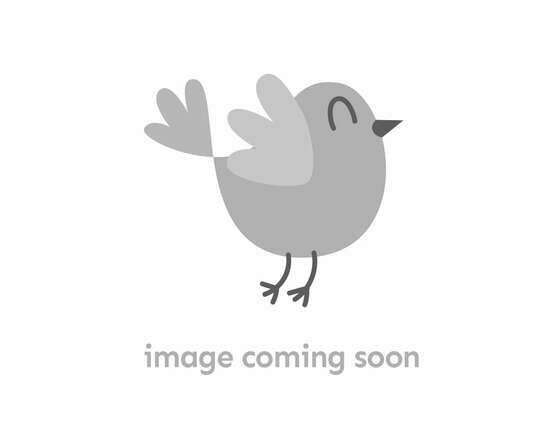 Made from painted card with plastic coated wire arms, it is partly assembled. Also includes graphic instructions to complete assembly. 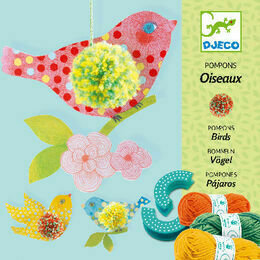 Djeco aims to create outstanding crafts, puzzles and beautiful wooden toys. 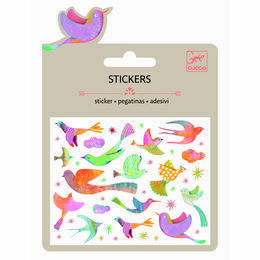 From Paris, Djeco specialises in children's gifts. I haven’t got the mobile yet as it is a gift, but I was impressed with the speedy delivery of the mobile and it looks beautiful on the cover. Lovely mobile , very graceful and artistic looking as it revolves slowly in the breeze ! It is a big mobile that requires a bit of space ,but if you're lacking room you can just hang the two lower groups of birds ! This is lovely mobile, although it has not yet been put together. I'm sure it will be perfect for my little grandson's bedroom. It is very colourful, yet ageless in it's simplicity. Superior in design to many of the readily available ones on the high street. I enjoy it day and night. 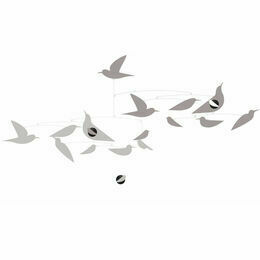 Nice mobile that moves all alone with a lightest blow of air. Simply beautiful. And top quality delivery as well. Bought this to place above my toddlers cot. Exactly as I hoped for as my little one seems captivated by it's gentle motion in a breeze. Delivery very quick and well packaged. Very happy.